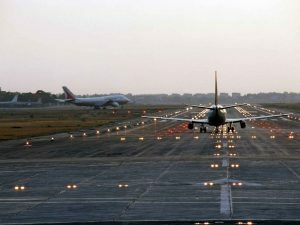 The Airports Authority of India (AAI) has registered growth of more than 15% and 22% in its revenues and profits after tax, respectively in the financial year 2016-17 as compared to the financial year 2015-16. 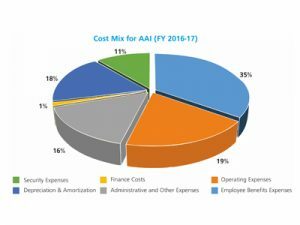 While its traditional businesses have grown at a healthy rate, growth in the new businesses and new markets also contributed to its revenues, according to AAI annual report 2016-17. The major factors for hike in revenue are increase in route navigational charges and terminal landing charges; increase in landing, housing and parking charges; increase in passenger service fee; increase in other revenue like trading concession, rent and services, cargo, UDF and other miscellaneous revenue, and increase in share of revenue from Delhi International Airport Limited (DIAL) & Chhatrapati Shivaji International Airport (MIAL). 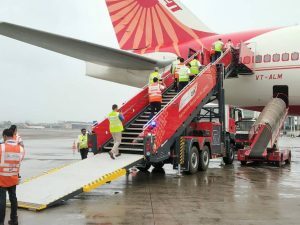 In a historic move, an aircraft carrying perishables arrived at Mumbai’s Chhatrapati Shivaji International Airport (CSIA) from Kabul, Afghanistan, marking the launch of a dedicated air freight corridor service between the two cities. An initiative implemented with the joint efforts of Danish Sarwar, Vice President of Afghanistan and Chennamanneni Vidyasagar Rao, Governor of Maharashtra, this connectivity will provide the land-locked Afghanistan greater access to markets in Maharashtra. Additionally, it will allow Afghan businessmen to leverage the economic growth, enhance trade networks and offer Afghan farmers direct access to the markets in western India for their perishable goods. The event was presided over by the Principal Secretary, Govt. of Maharashtra, diplomats from the office of Governor of Maharashtra and officials of the Consulate General of Afghanistan. 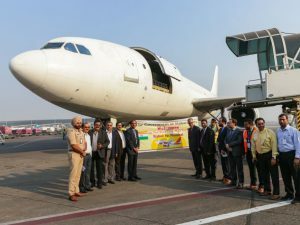 The dignitaries along with officials of CSIA welcomed the inaugural flight routed Kabul-Mumbai-Kabul which carried 40 tons of fresh apples on the inbound and 20 tons of bananas along with 20 tons of fresh tomatoes on the outbound. 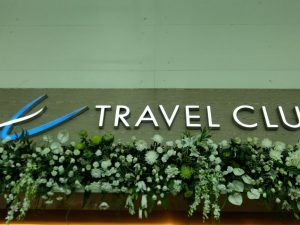 GVK Mumbai International Airport (MIAL) inaugurated the Travel Club lounge at Terminal 1 of Chhatrapati Shivaji International Airport (CSIA). Set to be operated by TFS, the lounge promises luxurious hospitality and high quality services, assuring maximum comfort to passengers transiting through the domestic terminal. Passengers can walk in for a hot breakfast, a scrumptious lunch, an evening snack or a light dinner. They can choose their meal from a huge spread of delectable cuisines that are freshly prepared and top it up with a glass of their preferred drink. All the lounges at CSIA are a hallmark of quality and excellence which are recognised at various award ceremonies, globally. The GVK Lounge by TFS Performa was recently awarded as the ‘World’s Leading Airport Lounge’ for the third time in a row at the renowned World Travel Awards held in Vietnam. 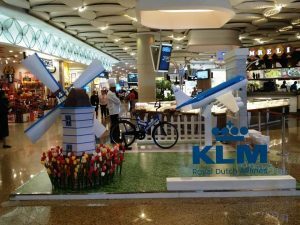 In a move to enhance air connectivity, Chhatrapati Shivaji International Airport (CSIA) welcomed Dutch Carrier, KLM’s Mumbai and Amsterdam services on October 30. The airline will be operating 294-seater Boeing 787-9 aircraft with 30 World Business Class, 45 Economy Comfort Class And 219 Economy Class. The flights will operate thrice a week. 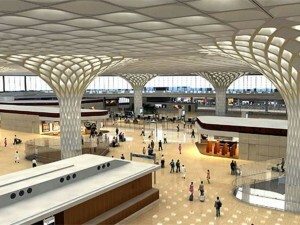 Earlier, Mumbai-Amsterdam route was served with daily services offered by Jet Airways. 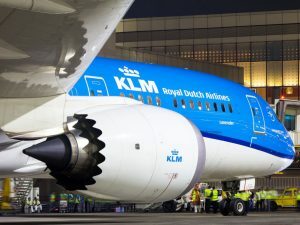 Along with KLM, the route will be served with a total of ten services per week. Last week, CSIA welcomed Thai Smile’s maiden flight on the Mumbai-Bangkok route, the second airline after Thai Lion to start services on the sector within a month. Singapore Airlines has announced the introduction of its A350 services to India. Mumbai will be the 16th destination within its network to receive the Airbus A350-900 aircraft. The daily scheduled Singapore Airlines flight SQ421 will be served by this new aircraft and the inaugural A350 service will depart from Chhatrapati Shivaji International Airport, Mumbai at 1145hrs on 01 July 2017. With advanced technology and superior operating efficiency, the A350-900 offers customers an improved travelling experience with features such as higher ceilings, larger windows, an extra wide body and lighting designed to reduce jetlag. Customers will also be able to enjoy our latest-generation cabin products as well as the award-winning, KrisWorld inflight entertainment system. The aircraft is fitted with 253 seats, in a three-class configuration – 42 in Business Class, 24 in Premium Economy and 187 in Economy. Singapore Airlines took delivery of its first A350-900 in March 2016 and now has 15 of the aircraft type in its fleet, with another 52 on firm order, including seven of an ultra-long-range A350-900ULR variant. Singapore Airlines is the launch customer for the A350-900ULR, for which deliveries will begin in 2018. The aircraft will be used to re-launch non-stop flights between Singapore and both New York and Los Angeles. “Singapore Airlines continually looks for opportunities to enhance the travel experience of our Indian patrons. 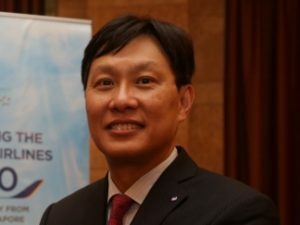 The launch of A350 services to India is a testament to our commitment towards operating a modern and young fleet across the world,” said David Lim, General Manager India, Singapore Airlines. In conjunction with Singapore Airlines 70th anniversary, travellers from Mumbai can enjoy the A350 experience with special fares starting from Rs 22,070 to Singapore.